The world of connected devices is definitely an interesting space and market to be involved in. 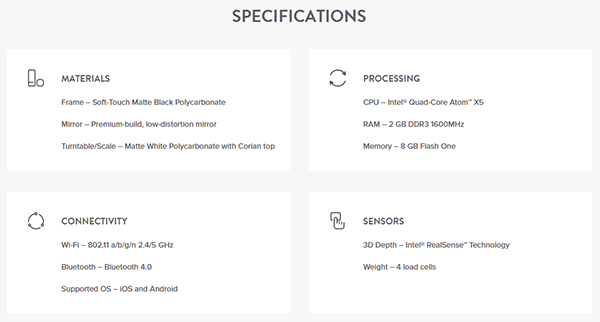 For those who are willing to pump research and development budgets into exploring potential new product lines, there exists a real sense of excitement that a combination of software and connected hardware can really introduce some extremely exciting new products. That’s exactly what a company has been secretly doing in pursuit of designing and manufacturing its first product. And now it’s here. Allow us to introduce you to the smart scale system that uses hardware and software to track a user’s fitness goals in three dimensions. 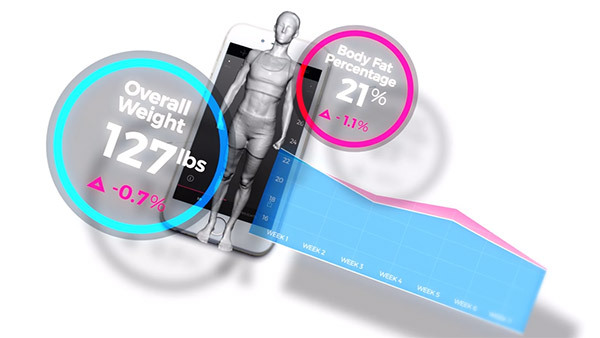 The debut product is essentially made up of three individual products that all come together to form a connected, intelligent experience that maps the user’s body composition. 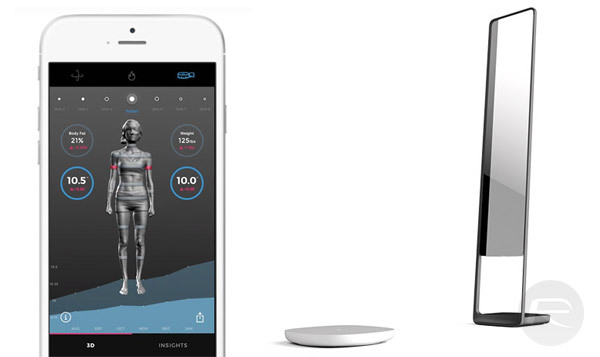 The first part of the experience is a smart scale that also acts as a rotating platform to ensure that the user’s weight is collected, but that each side of the body is also captured by the second part of the experience. And that brings us on to the full-length mirror that looks like a normal bedroom mirror, but is fitted out with highly intelligent Intel RealSense depth sensors to track and store information about the rotating body that’s put in front of it. Finally, the experience is finished off with an accompanying mobile app, which is essentially a portal for the user to access and interact with all of the information that is collected by the two hardware components of the experience. The user is basically asked to stand on the scale in his or her underclothing and be spun around in front of the highly sophisticated mirror for approximately 60-seconds. The connected mobile app should then be furnished with all of the necessary data that’s needed to form an understanding of that individual’s body. Over time, frequent use of the system will allow users to track and get an accurate understanding of how their body is actually changing and progressing as they carry on their fitness journey. It’s an excellent and affordable system for most of us who take fitness seriously. However, if you happen to be genetically blessed with height over six feet and nine inches, then you will need to prepare yourself to receive lower resolutions scans as you’ll need to position the scale further away from the sensing mirror. Pre-orders for the scale set are open from today, with shipping expected in March 2017. The package will cost $500.